Is your garden lifeless and overgrown? Don’t put up with it any longer. At Bamboo Landscapes, we offer the best landscape gardening Poole service that you will find. With our professional design and renovation services, you can create the garden you have always envisioned. We provide a comprehensive landscape gardening service from concept design right through to completion. Factors such as overgrown shrubbery can make a garden seem dark and closed in, but a clever design is all you need to make your garden appear far more spacious. We have years of experience in assessing the shapes and perspectives of different gardens and accentuating the space available. To form the permanent outline of your garden in Poole, we use hard landscaping techniques. Fencing creates the vital security and privacy, while decking is a great way to make your garden a social hub where guests can socialise. We only use the best quality materials we can source to ensure your hard landscaping not only looks attractive, but lasts over years of weathering. Once the hard landscape gardening is taken care of, it’s time to fill your garden with vibrant plants and greenery. For something subtle, why not go for a large lawn with a low-key flowerbed edging. Alternatively, make your garden stand out with an exotic flower arrangement filled with your favourite plant species. We have the best selection of designs and colour schemes to suit all preferences. Why choose our landscape gardeners in Poole? Bamboo Landscapes is the name to choose if you dream of having a garden that is completely tailored to you. We have the skills and equipment needed to make any of your ideas a reality no matter what look you wish to achieve. Our landscape gardening team in Poole have an unrivalled eye for detail and will make certain that every corner of your garden is incorporated in your personal design. Whether you want your garden to be mostly paved to support outdoor furniture, or mostly turfed for a natural look, we will be happy to oblige. 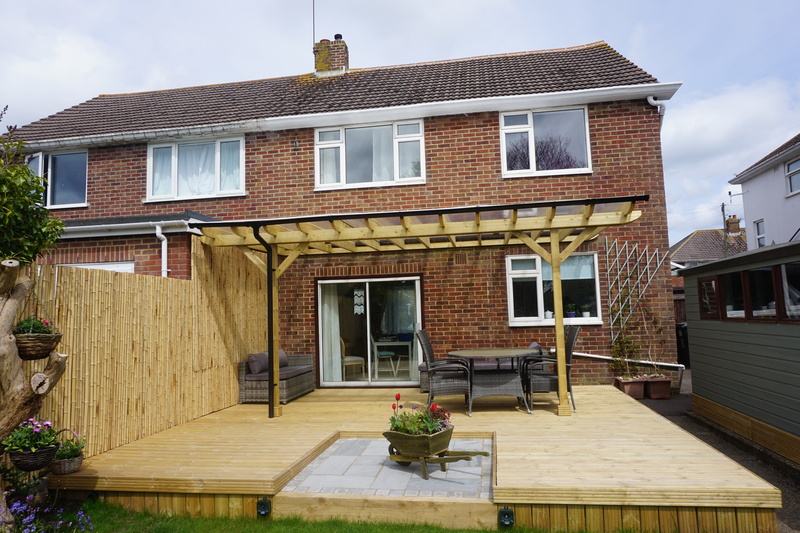 After we have transformed your Poole garden, you will have a beautiful outdoor space to relax, entertain guests, or spend time with your family. Rest assured that every single one of your garden requirements will be met with Bamboo Landscapes. With an in-depth knowledge of all gardening and landscaping materials, we can make informed recommendations of what will work best in your Poole garden. You will be better off choosing some plants over others depending on your soil type and how much time you intend to spend maintaining your garden. Whatever the case may be, we will always help you make the best decisions for your budget and taste. 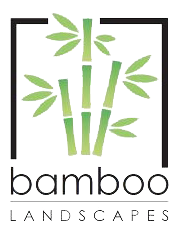 You can expect an excellent customer service from our friendly staff when you choose Bamboo Landscapes. As considerate and tidy workers, we will leave your garden completely spotless by the time our work is done. Previous customers always choose to come back to us if they require additional gardening services, and the majority of our business comes from recommendations. 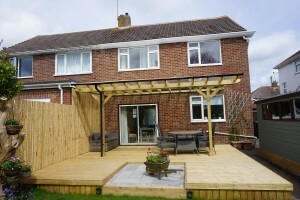 To see some of our previous Poole landscape gardening work, have a look at our gallery. We guarantee that you will be filled with plenty of exciting garden design inspiration. For the best landscape gardening Poole has to offer, contact Bamboo Landscapes on 01202 805 882 or email us at bamboolandscapes@hotmail.co.uk.